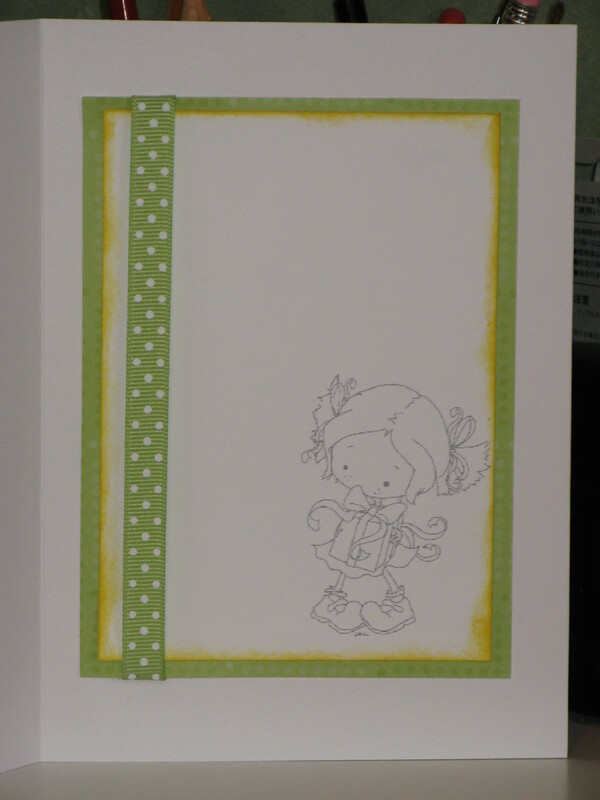 I had a few hours this morning to play so I decided to make a birthday card. I had such a good time making this card. 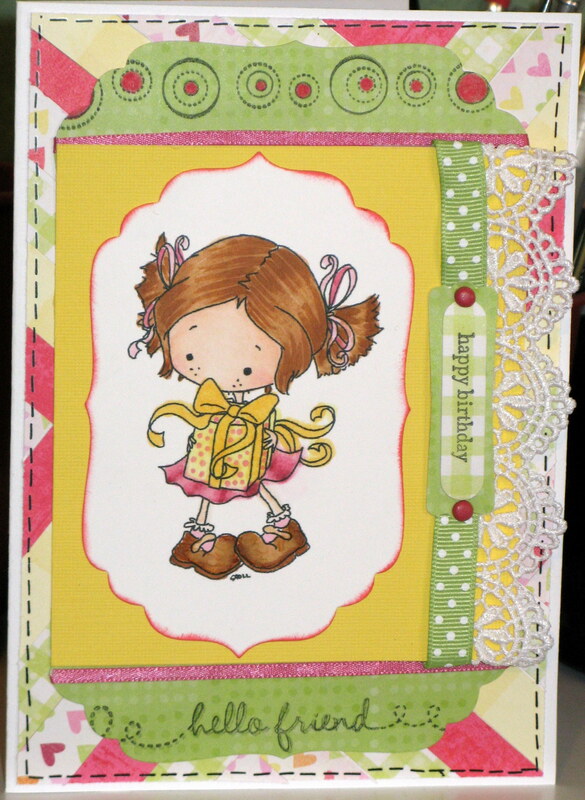 Supplies: paper I created the card base using the herringbone pattern with K & Co KP Valentine pattered paper; faux stitches with doodlebug design- sew easy rub-ons; stamps: Lilli Claire party time by TiddlyInks, hello friend sentiments; white lace, green polka dot ribbon- dashes dots and checks by Michaels; stamping up punches and Stamp in up teeny tiny wishes stamps.